Did you know that many of the eccentrically traditional rooms that you see in magazines and around showrooms today have been influenced by American interior decorator and socialite Sister Parish? The New Jersey-born design partner of Albert Hadley, was first brought in to decorate the Kennedy White House in 1962 and has become known for her homey, cluttered traditionalism, her passion for patchwork quilts, painted furniture, and red-lacquer secretaries. Her stylistic influences can still be seen at the White House today, particularly in the Family Dining Room and Yellow Oval Room. “It is only my eye that has helped me. I am still hopeless with that thing called a scale ruler. I love color, but that comes very naturally to me. From the beginning, I never followed trends. If I was aware of them, I didn’t care, for I believed as I do now, that rooms should be timeless and very personal. And I certainly don’t have a “look”-just a mishmash of everything that somehow, by instinct, usually turns out to be a warm, imaginative, ‘living room’. 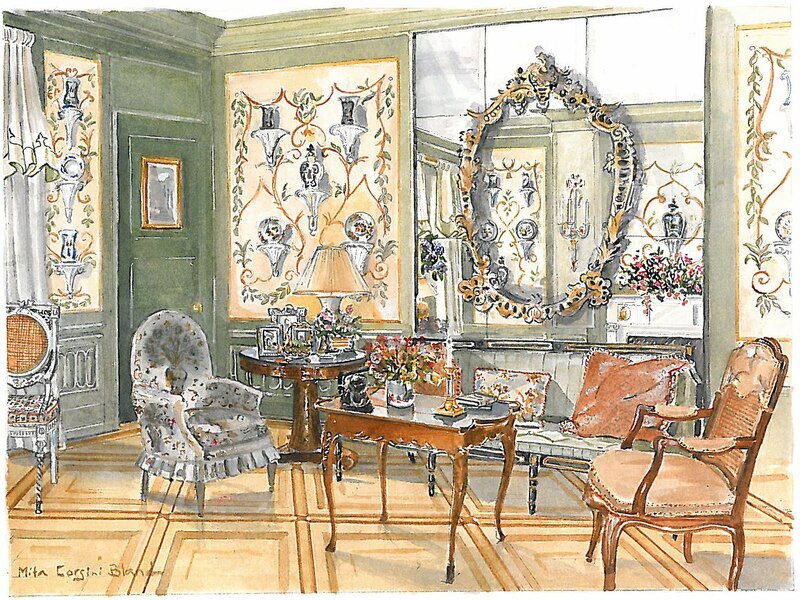 Parish influenced room by designer Bunny Williams.